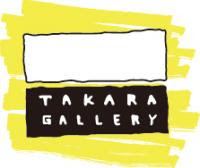 We are crazy busy for setting up our new work place and shop, "Takara Gallery workroom." The opening is on August 5th Sun 2012. Put out a last spurt for opening! oil stain on studio floor.pretty hard!! End of our screen printing workshop! End of our screen printing workshop "
. Thank you for coming! There were so many people visited and made their original tenuguis. Our new workshop studio and shop on Aug 5th! really soon!! 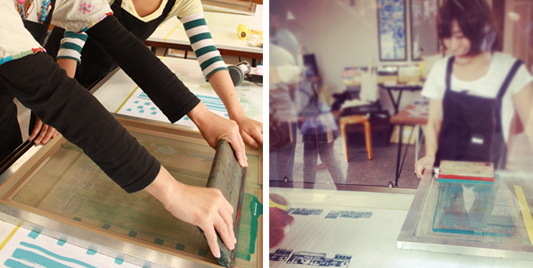 You can try to do the screen printing everyday! making original tenugui by hand! July14th was the first day of THE GUJO ODORI dance festival!